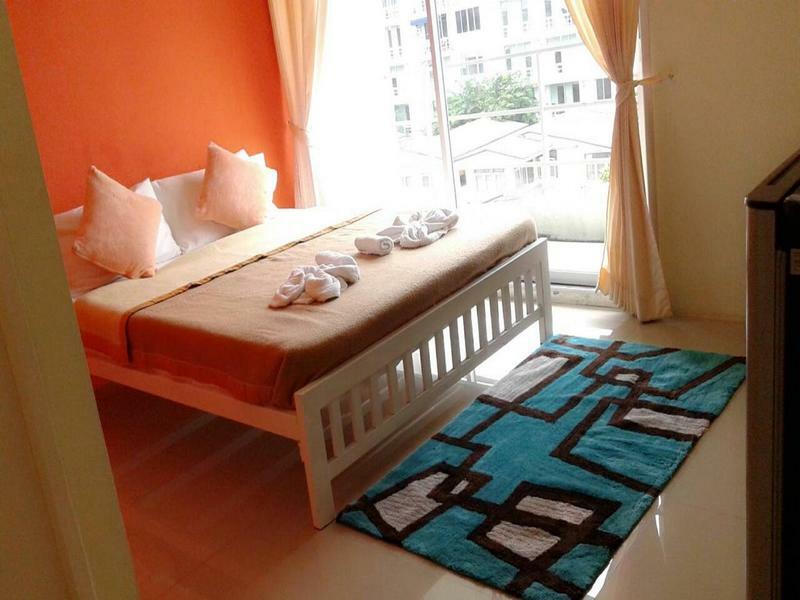 If what you're looking for is a conveniently located hostel in Bangkok, look no further than The City @ Fifty (Former Madee). From here, guests can enjoy easy access to all that the lively city has to offer. A haven of rest and colorful relaxation, the hotel will offer total renewal just steps away from the city's numerous attractions such as BTS On Nut, BTS Phra Khanong (E9), BTS Ekkamai, an express way Sukhumvit 50, and big convenient store Tesco Lotus. The City @ Fifty (Former Madee) in a new look offers impeccable service and all the essential amenities to invigorate travelers. Guests of the hostel can enjoy on-site features like Washer and dryer facility, Outdoor Roof Top Pool and terrace with a spectacular city view of Bangkok residence, Exercise room, Wi-Fi in public areas, car park, Internet corner, Public Lobby area with TV, and Dinning area. The hotel features 48 beautifully appointed Dormitory beds, 8 Deluxe rooms, and a Family suite. The complete list of recreational facilities is available at the hotel, including Exercise room, outdoor pool. Whatever your purpose of visit, The City @ Fifty (Former Madee) is an excellent choice for your short and long stay in Bangkok. This room provides you with a choice of queen sized or twin beds, 2 complimentary bottled water, towel, 19inch TV and a private bathroom. You can take the airport express AE3 and exit on to Soi Sukhumvit 50 (Onnut BTS Station). The service time is offered from 5 a.m. to 12 p.m.
You can take the airport rail link for SA City Line and exit on to Phaya Tai Airport Rail Station. Then you interchange with BTS to Onnut Station. The airport rail link service time is offered from 6 a.m. to 12 p.m. This can be an essential backup option for other alternative forms of transport. Once you're on Sukhumvit 50 go straight until the road goes UNDER a bridge ( roughly 800 meters), then take the next right (you'll see The City@Fifty sign) to Soi Roem Charoen and go along the path to Premruethai Village Soi 6. And then turn right again and go straight to the end. Finally, you will find us.